Thunder and his sister Lightning were trapped as stray, borderline feral kittens and brought into the clinic to be adopted out. They were difficult to manage even after several weeks of socializing by the clinic staff, so they came to the Commune. Thunder is extremely social with people now, though he definitely has a bit of an issue bullying the other cats. 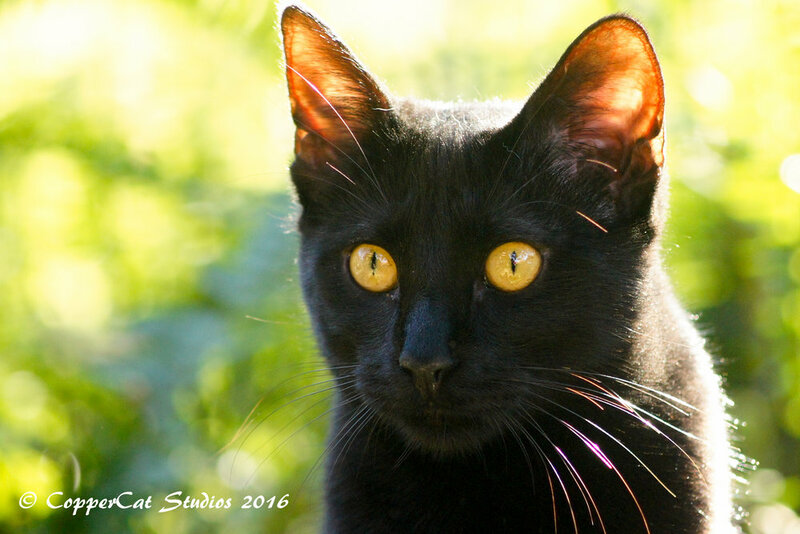 He is a BIG beautiful black cat with incredible orange eyes. Thunder enjoys petting and loves standing on the counter to reach up and bite Matt’s nose. We would be open to adopting him to the right home.